The first 5G base station in the southernmost city in China, Sansha, South China's Hainan Province, was launched by China Mobile Thursday, according to the State-owned Assets Supervision and Administration Commission of the State Council (SASAC). 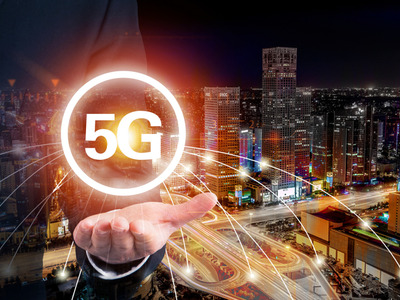 "There is no doubt that the launch of the 5G network in Sansha is a sign of China's determination to administer and develop the city," Xiang Ligang, a veteran analyst, told the Global Times on Sunday. "Covering the area with the country's advanced communication signal is a clear proof of Chinese people making a livelihood on our territory," he said. It is also a key step for China's 5G technology construction to experiment in frontier places, especially areas with low population density and challenging geographical conditions, like Sansha, in order to complete the database of 5G construction and guarantee China's leadership in the 5G field, Xiang added. The Sansha base station officially opened on Thursday and successfully launched a trial of its first 5G medical application on the following day as a robot conducted an ultrasonic test under the remote supervision of a doctor in Sanya, more than 300 kilometers away, the statement noted. Currently, 5G base stations have also been launched in other frontier regions of China including Harbin, capital of Northeast China's Heilongjiang Province and Lhasa, capital of Southwest China's Tibet Autonomous Region. In addition to the geographical distribution, a diverse range of practical applications has been involved as well. For instance, Chengdu has set up the first 5G subway line, Beijing made the first 5G phone call, and two hospitals based separately in Beijing and Hainan jointly conducted the first 5G-based human brain surgery.